Welcome to my complete walkthrough to the 2007 Game Boy Advance game, The Legend of Spyro: The Eternal Night developed by Amaze Entertainment. The walkthrough provides the best route for getting through the game collecting all of the relics as you go whilst avoiding going down lots of dead ends filled with nothing but gems. Red gems drop from dead enemies and small gem clusters. Green gems drop from dead enemies and small gem clusters once you get Fire Breath. Blue gems drop from dead enemies and large gem clusters, you can also earn up to four extra if your combo meter is full when you kill an enemy. Perform varied combos to get a higher rating. Purple gems drop from dead enemies and large gem clusters once you've got the Dragon Fury ability. There's not much to health really. If you get hit by enemies you lose health. Lava and spikes hurt too. If you fall off the level you lose health and appear on solid ground nearby unless you lost enough health to die. Red gems regenerate health, it won't do it by itself. If you run out of health you appear back at the start of the section with full health and energy and the same amount of fury. If you've played The Legend of Spyro: A New Beginning then you'll know what types of breath to expect. There's no new one this time. The more you use a breath, the more of your Energy you use (the green bar). If completely used up the energy bar will regenerate enough for one attack and no more. Using that attack will trigger the bar to regenerate again but there's a delay so you can't just use it as if it were infinite. To refill it manually just collect green gems that you can find inside enemies or the smaller gem clusters. You can get a larger energy bar by collecting the 'Energy Upgrade' relics hidden around the game, there are ten total. Breaths upgrade twice to a maximum level of 3. Here's a chart showing enemy type weaknesses. It's based on you versus them, so, for example, your Fire attacks are weak against Fire enemies, normal against Earth enemies, strong against Ice enemies and normal against Lightning enemies. From quite early in the game you'll start to collect blue gems from enemies and large Crystal Clusters as well as gaining them from performing decent combos when killing. These will gather in a pool in your Abilities menu where you can divy them up between your breaths, helping them on their way to Level 3. Even when the pool appears full it's not. You can continue to collect blue gems as long as you like before using them and you won't be sacrificing any with overflow. Throughout the game you'll unlock further abilities to complement your basic melee attacks, allowing you to perform longer and longer combos with ease. Holding Up or Left/Right dictates where you will throw the enemy, up will throw it up allowing you to jump up and continue attacking it, Left/Right will throw it away from you usually ending any combo but useful for clearing the way. To help perform longer melee combos, start attacking using melee without holding any direction and then on the last hit before it throws it away by itself, press Up if you wish to throw the enemy upwards. Once you've picked up the relic for Dragon Fury, which is quite far into the game, you'll start to pick up purple gems. These will fill a circle around the breath icon, and when that circle is complete press Select to activate it. Unlike other versions of the game your fury is the same no matter which element you have selected at the time you activate it. The screen goes purple and you start to move faster. Both your health and energy will regenerate and you'll be able to attack enemies much faster and with more effect. To see just how long you've got left in fury mode just take a glace at the slowly emptying fury circle. UUUUGH why are you so hard!? I stuck. I played with this version on Emulator and i stuck! The training is impossible for me...probably just the emulator! I am going to play it NOW!!! Dude, you have not played a GBA game untill you have played THIS. i dont have the gba version yet but im going to get it soon......a couple people told me tat it is cool. I only have a ds and a ps2/1 but my ds can play gba games. the games quite short though ive been expecting more challeges and obstacles; or maybe puzzles to clear.. It's much better than the GBA version of A New Beginning, I'll tell you that. This is a great game, one of the best in the spyro series. Is the GBA version good? I cant play it cause my girlfriend has my GBA. well i just joined today!i realy want the enternal night game!!!! I has got the Playstation 2. And I have got this game. Yes! Best game. And awesome look. 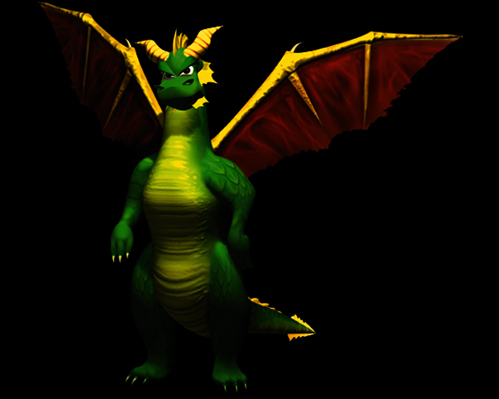 I Love Spyro the Dragon!!!!!!!!!!!!!!!!!!!!!!!!!!!!!!!!!!!!!!!!!!!! !